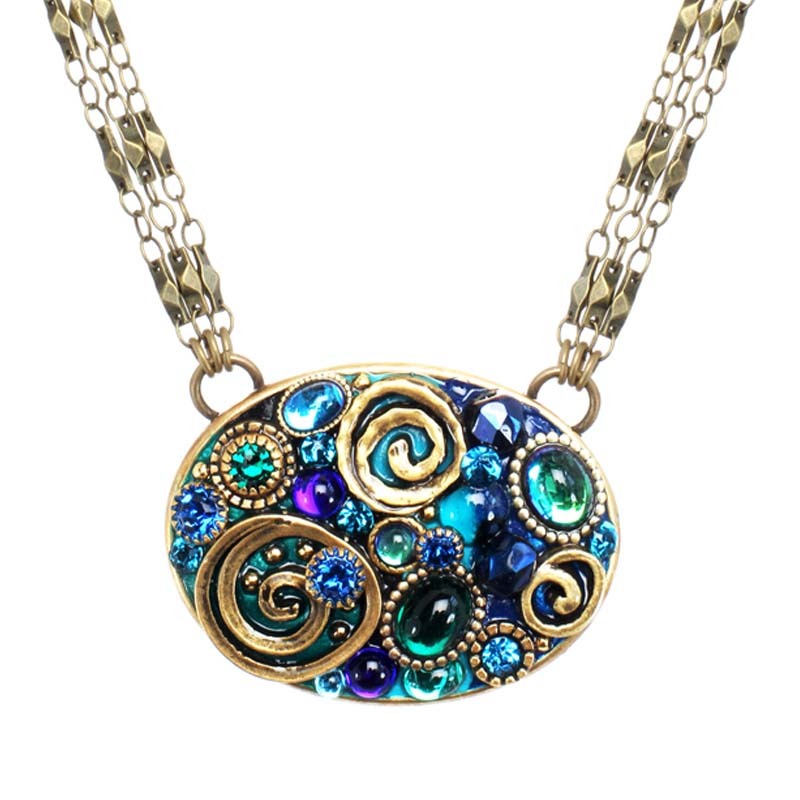 Gorgeous necklace for any season. Sea greens and deep sky tones make this an amazing accessory for summer. While rich emeralds and golden accents easily transition this piece to winter.